The problem with gold is that it is hard to store and ship. So economies of scale make sense: You keep a lot of gold in one big vault and once it changes hands you just cart it from one chamber to another. This system works great if you trust the people storing the gold. 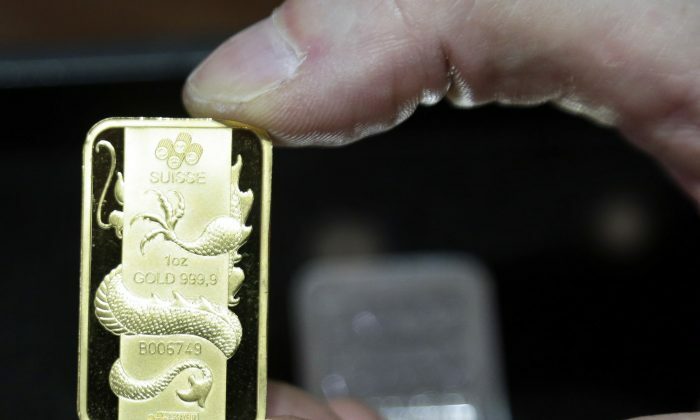 So far, the United States, England and Switzerland have enjoyed that trust and most countries store their gold in London, New York, Zurich and also Paris to some extent. Gradually, however, this trust is evaporating and people are beginning to withdraw gold from these places to safeguard it at home. The costs for shipping and storage are substantial, so one has to wonder why Austria was the latest country to officially announce the repatriation of 33 percent of its 280 tons gold reserve to a total of 50 percent held in Vienna, boost the storage in Switzerland (plus 17 percent to a total of 20) and reduce the storage in the United Kingdom from 80 to 30 percent. The move is supposed to be carried out until 2020. Originally, Europeans stashed most of their gold at the Federal Reserve in New York and the Bank of England in London during the Cold War because of fears the Soviet Union would appropriate it after an invasion. At one point, the gold stored in New York was as high as 12,000 tons, now reserves have dwindled to 6500 tons. Gold is not meant for spending and even the 3,395 tons of gold Germany owns are only worth $120 billion at current prices, a paltry sum compared to the trillions the country owes in public debt. However, the Europeans know that if worse comes to worse, gold will play a major role in a possible revaluation of the financial system, and then you better have your reserves close to home. This year, China is taking several steps to rattle gold markets. This time, it's the buying of physical gold that takes center stage.